RIZAL, Klinga – Cluster farming, simultaneous milling, mechanized farming, and direct seed production were only some of the ways identified by DA-RFO CAR Regional Executive Director (RED) Narciso Edillo and Regional Technical Director Danilo Daguio in reducing the production cost of rice during the farmer’s field day forum recently here. With the conclusion of the hybrid rice model farm showing that it is possible to increase yield per hectare and plant rice crops in the dry season, RED Edillo challenged the farmers to come out with competitive prices that can be at par with other rice producing ASEAN countries. “We are still far behind our neighbours who are producing rice at a much easier and less costly price per kilo,” he said. Added to that, more advanced countries in the ASEAN employ less labor intensive and mechanized farming that they utilize to its fullest. Current data on rice production in Thailand and Vietnam reveal an average production rate of PHP 6 to PHP 6.90 per kilogram of rice. “We need to look at the process we take in the production of rice more keenly.” said Regional Technical Director (RTD) Danilo Daguio. Collection of the sun-dried rice or “panag-akop ti bilag” also has a customized machine that can be operated by just one or two persons instead of the usual five to seven persons to do this. 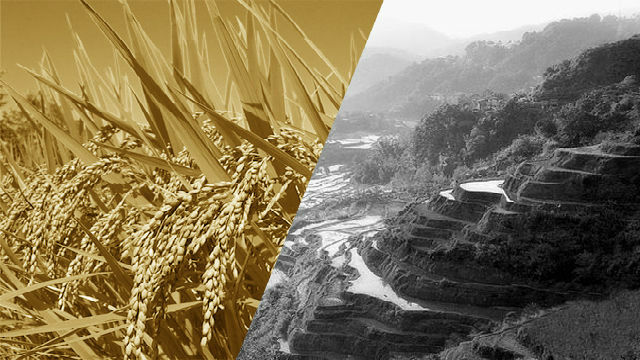 By simultaneously planting their crops and taking harvested rice to the mill at the same time, the farmers can also decrease the costs per kilo to the market. It has been showed that fewer grains also get wasted in the milling factory if the same grains are processed at the same time and not a different variety every so often. This confirms that thru close cooperation between farmers, milling recovery is increased and cost of production can be lessened.